Friends and escape rooms = fun! I’ve been hooked on escape rooms ever since they were initially introduced to Edmonton back around 2014. I lapped them up and I would go on gaming sprees, usually dragging along a newbie or two. When we left, they were addicted as well. For those who don’t yet know, an escape room is an immersive experience whereby a group is “locked” in a themed room and they have to work together to solve riddles, clues and puzzles in order to breakout. They typically range between 45 to 60 minutes in length and cost about $25 per person to play. About a year after I delved into that world, more businesses in this vein finally started to pop up, including one of my all time faves, Escape City. Located on 59 Avenue and 104 Street (Calgary Trail), it’s tucked away in the corner of an old strip mall. Walking through the doors, there has always been someone sitting behind the counter to greet patrons. Otherwise, it’s a very minimalist space with white walls, a couple of long benches, and cabinets for lockers. A large bulletin board next to the till showcases the teams who have broken out of their rooms in record time (Note: the times listed are remaining minutes in the game, not total minutes played). On the opposite side of the room is an accent wall with “Escape City” scrawled in red, which is great for photo ops. It’s ideal to arrive 15 minutes in advance of your allotted time to ensure everyone has a chance to pay and sign the waivers (if you’ve played here before, they do keep them on file, so you don’t have to sign it again). As with any other escape room place, you are not to bring in any of your belongings. Phones, especially, should be locked away as it’s all too easy to cheat or make the game easier with them on hand. Plus, it’s important that photos aren’t shared of the room and its puzzles because the whole point of playing is to be challenged. Where’s the fun in knowing in advance what’s going to happen? When the team is ready to go, a staff member will lead the way. They’ll present the house rules: no lifting carpets, no pulling on things that are nailed down, no climbing, etc. Then, a video introduction is played before the countdown starts and the game begins. 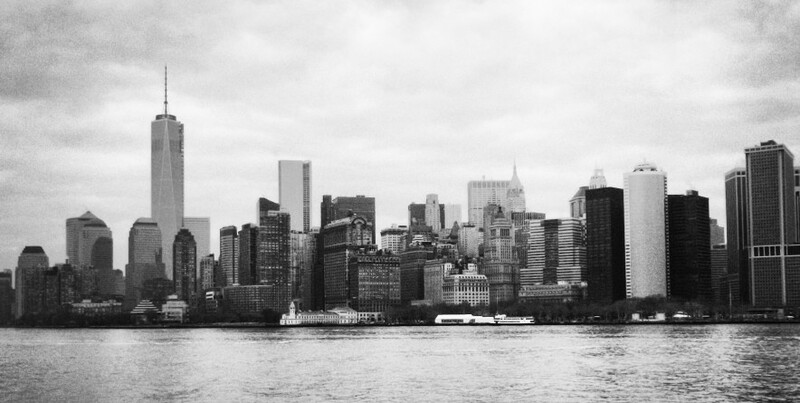 As an early subscriber to Escape City’s newsletter, I was invited to beta test for them. The very first room I got to experience was Keller’s Magic Emporium. At the time, I didn’t realize it was rated as their easiest room. Admittedly, I found it to be too quick to work through as we got out with probably 20 minutes to spare on an available 45 minutes (sometimes I don’t care about breaking a record; I just want to be entertained for as long as possible while still breaking out). What I did like was that they found a way to personalize the game a bit. Everything was quite linear, and the design was superb. They utilized some locks in the room, but there were a lot of other styles of puzzles, too. This one is best for beginners. A taste of The Cabin. Photo courtesy of Escape City. My second go at one of their rooms was with The Cabin. This was a well-though-out game and our group was literally a minute away from solving the whole thing. Alas, we failed, but it was very close. While it is considered to be one of the more difficult challenges at Escape City, I believe our ultimate downfall with this particular room was the size of the space and the number of players. Most of the time I struggle to get more than four or five people to come out. In this case, I recall having seven or eight in all. With limbs everywhere, visuals were blocked, hindering our ability to fully grasp everything we were supposed to see. My recommendation with the majority of places I’ve been is to have no more than six people. 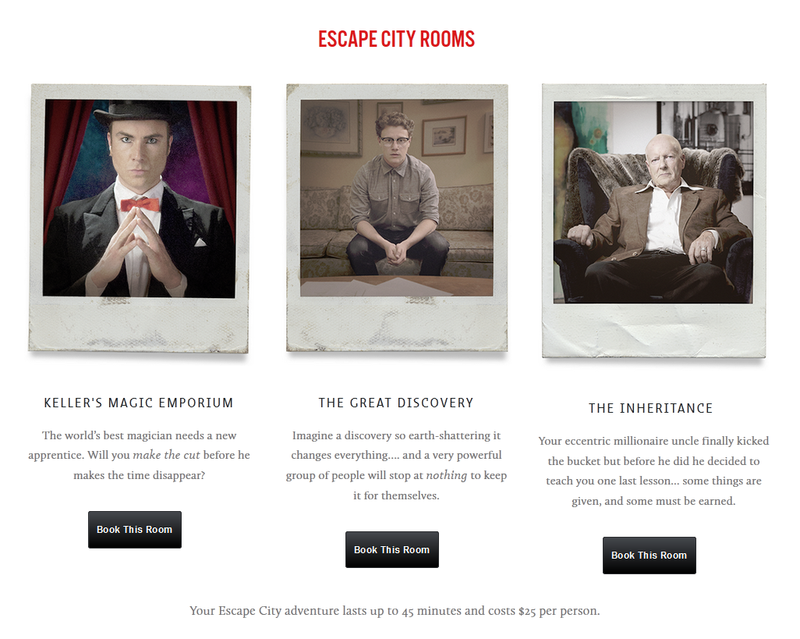 Room number three at Escape City was The Inheritance. I’d only just started dating Kirk at the time. He was so enamoured with The Cabin that, on a whim as we were passing by one night, he decided we should zip into the front doors an hour before closing to ask if we could play an impromptu game. The staff was happy to oblige. I feel like we used a lot of hints (you can have up to two, if you want your time to count towards their rankings; otherwise, you can have as many as needed). But, what do you expect when you only have two brains trying to decipher stuff like this at 10 o’clock in the evening? We managed though. There were a couple of puzzles that we solved without doing it the way the room was planned (it happens on occasion). We also wouldn’t have gotten out within the actual 45 minutes. Thankfully, the employees working that night were nice enough to give us extra time. It’s been designated with a three out of five star difficulty rating and I think that’s a fair assessment. Adventure four was The Great Discovery. It’s no longer running, but this one had a lab storyline and made sure to encourage the use of multiple senses in order to solve the puzzles. Our team worked well together as each person brought something to the table, and we felt really accomplished when we escaped this room. The Hunt for Arms Magee (previously known as Quarterback Sneak) was the fifth room played at Escape City. It’s also classified as middle of the road in terms of the overall challenge. I have to say though, this was most likely my least favourite out of the handful of games we’d played here at this point. I didn’t think the quality of the room itself or the production value was as high as the others. Mainly in the first half (the second portion had a fun element), the premise felt silly and oversimplified in comparison. This room was a joint effort between Escape City and Explore Edmonton. It was originally meant to tie into the Grey Cup and pitted the idea of the Edmonton Eskimos against the Saskatchewan Roughriders. I thought they just tried way too hard to tie in Edmonton elements. They’re best left to making rooms where the imaginations of the designers aren’t hindered by the tourism board’s vision. We excelled at Neurological! Also, this is apparently my lucky shirt. Approximately ten months later, I finally found an excuse to go back. This time, we were celebrating Escape City’s third birthday (August 2018). It’s crazy to think that they’ve graced us with their presence for this long and even weirder to realize I hadn’t played any escape rooms in over half a year. We tried our hand at Neurological, one of their hardest. I’ve been told by many people who tackled it before me to go with a large group (eight to ten). In the end, I managed to wrangle together a total of five people. Needless to say, I was a bit concerned that we didn’t have enough brain power. Turns out, that worry was unnecessary. We demolished this room! Unlike the others, you start with 60 minutes on the timer, and we completed it with 11 minutes left to go. This one splits the team up at the beginning and the goal is to come back together to alight all the senses. It required clear communication and a lot of teamwork to succeed. We were told at the end that only 14 per cent of of the people who play this one break out, so we felt like superstars. For those that want to hang out a little longer, you can either get there early or stay for a bit at the end and commiserate over a drink because, surprisingly, Escape City does sell cans of beer and a few other non-alcoholic beverages. Basically, it’s a great option for parties of any kind. While I’m not likely to throw a shindig here myself, they sure do know how to reel me back in. Seeing as how I had pretty much tackled all of their rooms, I wasn’t expecting to be return again any time soon. But, lo and behold, for their anniversary, they’ve just launched a new one called Frank’s Revenge about an uncle looking to even the score. If I have my way, curse be damned. Our winning streak has to live on! I’ll be back with friends in tow! 45 minutes on the clock. I usually think it’s best not to look at it. What’s an escape game? You’re with a group, given a scenario, locked in a room and you’re left to solve numerous riddles or puzzles in order to successfully complete your mission within a 45 minute (the typical amount) time frame. If you fail, you’re doomed to stay there for eternity. Just kidding. They’ll let you go home. The popularity of escape games is increasing in Edmonton. Cities like Vancouver/Richmond have plenty (at least a dozen different ones that I could find online) and we’re following suit. Within less than a year, three businesses have opened. They’re able to thrive because there’s an insatiable appetite for more once you’ve played. I’ve tried 4 of the rooms at Breakout Entertainment (located in the west end in Mayfield; they periodically replace older games with something new) since they opened last fall and I’ve often discussed the game with anyone who would listen to me, blogging about the idea on The Local Good. Though Eescape (a.k.a. Edmonton Escape), the second business of this sort, has been open in the heart of downtown since May, I’ve yet to make it there. However, my co-workers and I are planning on testing ourselves during our lunch break soon. Whether or not we all still get along afterwards is yet to be determined. So, that’s my first tip. Pick a good group of people to go with. It’s okay to have competitive players because they’ll probably give it their all until the very end, but hopefully no one with hold a grudge against each other if you fail to get out. After all, it’s just for fun. Thankfully, I had an excellent group with me when I had a chance to try Edmonton’s newest addition to the market, Escape City, which is located on the south side of the city. I actually stumbled upon them in a random manner. I happened to come across a job link on Google when they were still looking to hire staff. Their name gave it away, and I started feverishly searching for more information. Eventually, I found their website with the Sin City-esque font, colours and film noir feel, and an intriguing link to sign up for early access. After I signed up at the beginning of July, I reached out to co-owner Mike Ringrose, who you’ve probably heard on the radio or seen in the paper talking about this now. Within the month, they arranged for beta-testing of their three rooms and I managed to snag a spot for four of us. The scenarios at Escape City. Each game can take up to 6 players at $25 each. Image: Courtesy of Escape City. We played Keller’s Magic Emporium, the only one with a disclaimer warning of mature content. It’s also the only one that requires you to sign two waivers because if the aforementioned content. I would recommend this as a great starter room for those new to escape games, so long as you’re an adult or you’re in your late teens. While I don’t want to give anything about that game away, I will tell you that the room is very sleekly done. Escape City worked with local actors, set designers and contractors to create each space and the workmanship shows. While that sentiment is true, and we certainly felt awesome afterwards, I don’t think that losing at these games is a drawback to their business either. The failure of getting through and that feeling of being so close to the finish, but in actuality not, is what makes escape games so addictive. My friend joined me at one of these and it was his first time playing. When we left, he spent the better part of two hours bringing the conversation back to the game – what if we’d done this, or if only we’d done that. It gets stuck in your brain. In an interview with Metro, Mike said that multiple businesses of this genre can coexist because once someone has played a game, even if they didn’t succeed in getting out, they’re not going to come back to play the same one. Customers will seek out another venue for a fresh challenge. And, while I think the sentiment holds true to some extent, I also know people who have played the same scenarios more than once because they truly were at a loss the first time around and were determined to get out on another visit (B.O.M.B. at Breakout is one of those). 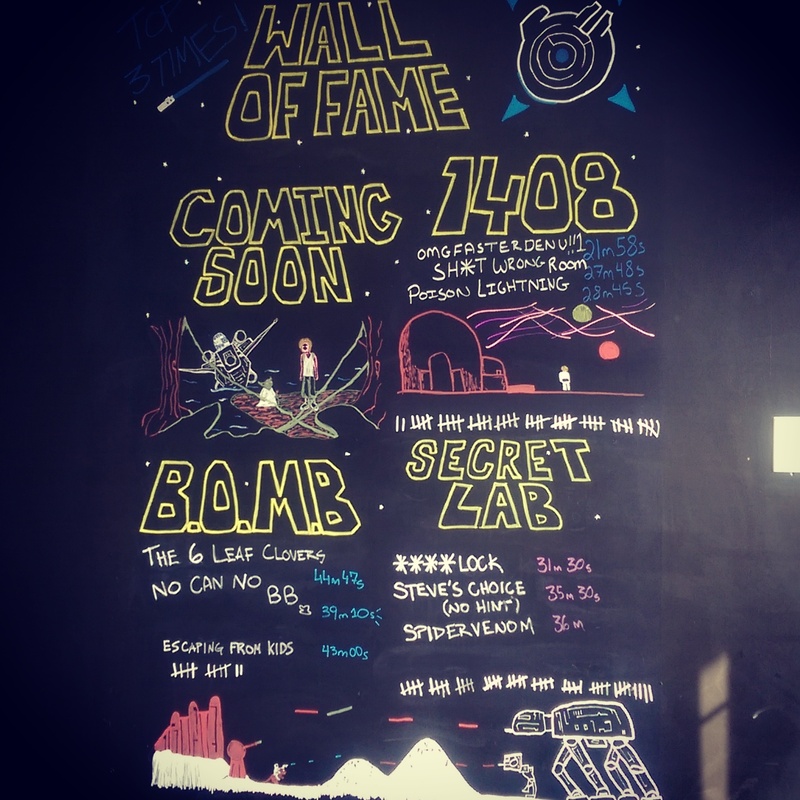 The Wall of Fame at Breakout. As you can see, B.O.M.B., is quite difficult (also fairly new at the time). What I love most about these places is that you’re really using your intellect, you’re bonding with people (you know or may not) and you’re getting away from your phone (you must put all of your possessions in a locker before entering the room) and taking a break from life’s other worries. So, if you have not tried an escape game, you should give it a shot. You won’t be sorry. If you’ve already been, you know what I’ve been talking about. Best of all, I’m excited to run my first contest on this blog! I’ll be giving away two pairs of complimentary entries to play at Escape City. Each winner will receive a one-time use code valid for two full price tickets ($50 value) to the game of their choice. To enter the draw, please leave a comment below. A winner will be chosen on August 31, 2015. UPDATE (September 7, 2015): The two winners of the giveaway were Trevor Carter (TJ) and Sheralee Tumm! Congratulations!